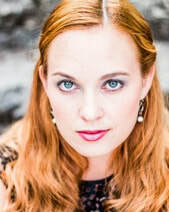 Sadie Gregg has been commended by the Boston Musical Intelligencer as “a mezzo-soprano with a rich, flexible instrument,” and as “a standout” by the Boston Classical Review, whose “amber-toned mezzo-soprano sounded strong across her full range.”​ Recent performances include Kátya Kabánova Previews with Seattle Opera, Baroque Ball with Portland Opera, Viva‘s Holiday with Cult of Orpheus, and Symphony no. 3 with Oregon Mahler Festival. Upcoming performances include Ich habe genug with Tualatin Valley Symphony. Sadie‘s portrayal of Ottavia (L‘incoronazione di Poppea) with New England Conservatory earned her an ArtsImpulse Best Supporting Actress nomination. Her performance in La Cenerentola (title role) with Boston Opera Collaborative earned her a My Entertainment World Best Actress Award nomination. 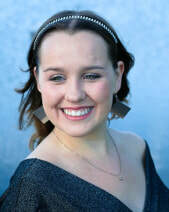 Sadie was a semi-finalist in the Palm Springs Opera Guild Competition and Rossini Round, and the Brava! Opera Theater and James M. Collier Young Artist Competition. A native of Washington Sate, Sadie earned her B.A. from Pacific Lutheran University, and her M.M. from New England Conservatory. Sadie has worked with renowned artists Marilyn Horne, Jane Eaglen, Greer Grimsley, Jake Heggie, and studies voice with Elizabeth Sklund. Sadie maintains a private teaching studio at Portland Music Collective. Ray Jackson, tenor, is thrilled to be making his debut opera performance in the Portland area. 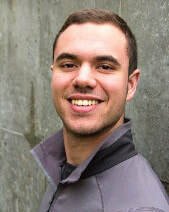 He is a Musical Artist in Residence at St. John the Baptist (OES), where he was recently featured as the tenor soloist in the Schubert Mass in G. Ray sings with Portland Symphonic Choir, and has performed with the Oregon Bach Festival, the University of Oregon Chamber Choir, the UO Opera Ensemble, and Vox Resonat. He holds a B.M. in Vocal Performance from the University of Oregon. Praised for her passion, artistry, and commanding stage presence, soprano Lindsey Rae Johnson has performed throughout the United States and Europe and been a finalist in several vocal competitions. Hailing from Minneapolis, Lindsey earned a B.A. in Music from Luther College and an M.M. in Performance from the University of North Texas. 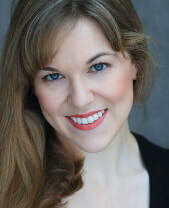 A former mezzo, Lindsey made her soprano debut in 2010 as Sophie in Werther. She has since been seen onstage performing the roles of Mimi, Musetta, Lauretta, Morgana (Alcina), Susanna, Gretel, Norina, Adina, Marzelline, Papagena, Laurie Moss, Amy March, Rose Maurrant, Edith (The Pirates of Penzance), and Little Red Ridinghood (Into the Woods). Lindsey has worked locally with Portland Opera, Mocks Crest Productions, Light Opera of Portland, the Dickens Carolers, and Opera on Tap. She also serves as Vice President of the Mu Phi Epsilon Portland Alumni Chapter. Prior to moving to Portland in 2016, Lindsey taught voice and piano lessons as well as Kindermusik classes. She has performed with Lamplighters Music Theatre, the San Francisco Symphony Chorus, Fort Worth Opera, and Cedar Rapids Opera Theatre. Lindsey studies with Ruth Dobson. has been praised by critics for her “lovely, vibrant tone” and “gutsy” portrayals of some of opera’s greatest characters. She performs regularly throughout the West Coast, where her roles encompass the dramatic and comedic repertoire. Recent highlights include Madame de Croissy (Dialogues des Carmélites), Mother Goose (The Rake’s Progress), Florence Pike (Albert Herring), Mrs. Grose (The Turn of the Screw), Filipyevna (Eugene Onegin), Marta (Iolanta), Juno/Ino (Semele), Princess Eboli (Don Carlo), Zita and Zia Principessa (Il Trittico) and The Witch (Hansel and Gretel), as well as several of Gilbert and Sullivan’s favorite operetta roles: the title role in Iolanthe, Phoebe (Yeomen of the Guard), Little Buttercup (H.M.S. Pinafore) and Ruth (The Pirates of Penzance), for which Beth won a Portland Area Musical Theater Award for Outstanding Performance. 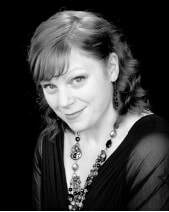 A regular on the concert stage, Beth’s orchestral repertoire includes Verdi’s Requiem, Mahler’s Symphony No. 2, Beethoven’s Symphony No. 9 and Missa Solemnis, Mozart's Requiem, Pergolesi's Stabat Mater, and Handel’s Messiah. Beth was selected as a semifinalist in the 2012 Oratorio Society of New York Solo Competition, and performs frequently as a guest recitalist around the region. ​Beth has sung with Portland Opera, Oregon Symphony, Portland Chamber Orchestra, Tacoma Opera, Eugene Opera, Skagit Opera, Aspen Opera Theater Center, Rogue Valley Symphony, Juneau Symphony, Vashon Opera and Walla Walla Symphony, among others. She received training with the International Vocal Arts Institute, the Des Moines Metro Opera Apprentice Program and Aspen Opera Theater Center. Beth makes her home in Portland, Oregon. a versatile singer praised for her haunting sound and musical intelligence, is a frequent performer in opera, concert, and recital. Roles performed by Ms. Thomas include "Rosina" in Il barbiere di Siviglia, "Musetta" in La Bohème, “Susanna” in Le nozze di Figaro, “Despina” in Così fan tutte, “Zerlina” in Don Giovanni, "Pamina" and “First Lady” in Die Zauberflöte, "Servilia" in La Clemenza di Tito, ”Marcelline" in Fidelio, "Morgana" in Alcina, “Gretel” in Hansel and Gretel, “Adele” in Die Fledermaus, and "Amy March" in Little Women. Ms. Thomas has appeared with Eugene Opera, Opera Bend, Portland Concert Opera, Brava Opera Theatre, Bravo Northwest, Cascadia Concert Opera, The Astoria Music Festival, The Beaverton Symphony, and Portland Summerfest. Other concert appearances include Soprano Soloist in Beethoven's Symphony No. 9, Mendelssohn's Elijah, Bach's Magnificat, Mozart's Coronation Mass, Haydn’s Missa Sancti Nicolai, Saint-Saëns’ Christmas Oratorio, Faure's Requiem, Vivaldi's Gloria, and Handel's Messiah. Ms. Thomas holds a B.M. from the Oberlin Conservatory, a M.M. from the Peabody Conservatory, and also a G.P.D. from the Peabody Conservatory.